When I say budget-friendly, I’m talking less than $200! Doesn’t that sound nice? When your home is listed for sale, there are a variety of things you should do to make it look its best. You don’t have to spend a fortune to make that happen. 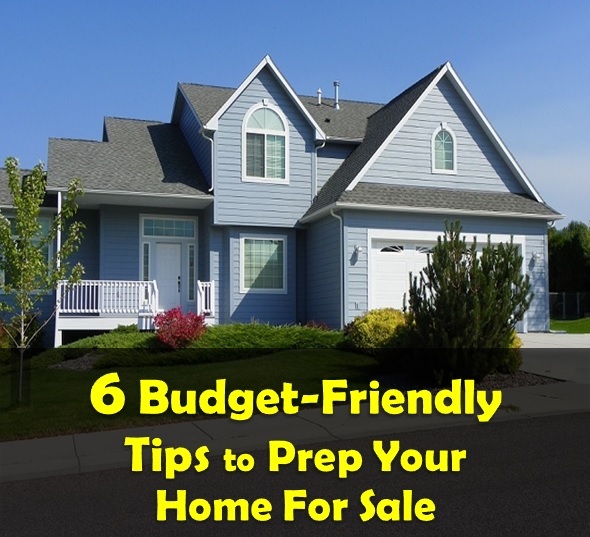 Instead, use these tips to impress potential buyers! 1. Declutter - This step in the home sale preparation process will only cost you your time. My advice is to do small amounts each day. A helpful tip is to make 3 piles for each room; one to keep, one to donate, and one to throw away. Here is an excellent decluttering resource from Realtor.com. 2. Remove evidence of pets and kids when it’s time for listing photos, an open house, or a scheduled showing. Examples include litter box, food dishes, an over-abundance of toys and baby gates. 3. Clean, clean, clean - Each room in your home should be cleaned top to bottom. While you could hire a professional cleaning service, it won’t cost you anything but your time and the purchase of cleaning products to do it yourself. 4. Curb appeal – mow the lawn and weed. It will always be a good idea to add a few new flowers or shrubs to boost the look for just a little bit of money. 5. Painting is one of the best things you can do before putting your house up for sale. Focus on the rooms that really need it, and where you don’t paint, be sure to wipe down the walls and baseboards. 6. Lighting plays a large part in how well a room will look and appeal to buyers. If you have outdated light fixtures, start by checking the clearance section of your local hardware store. If you can’t find anything reasonably priced, do a little research to find out how you can improve the look of what you have with spray paint. These are a few of the basic steps to take when getting ready to list your home, that won’t break the bank. If your home requires a bit more than budget-friendly preparation, take a look at even more ways to prepare your home for sale and learn why home staging is important to sell your home.